The skillful writer Jody Savin and the brilliant writer and director Randall Miller, were spotted by the RedCarpettips cameras celebrating the premiere of their new film CBGB. 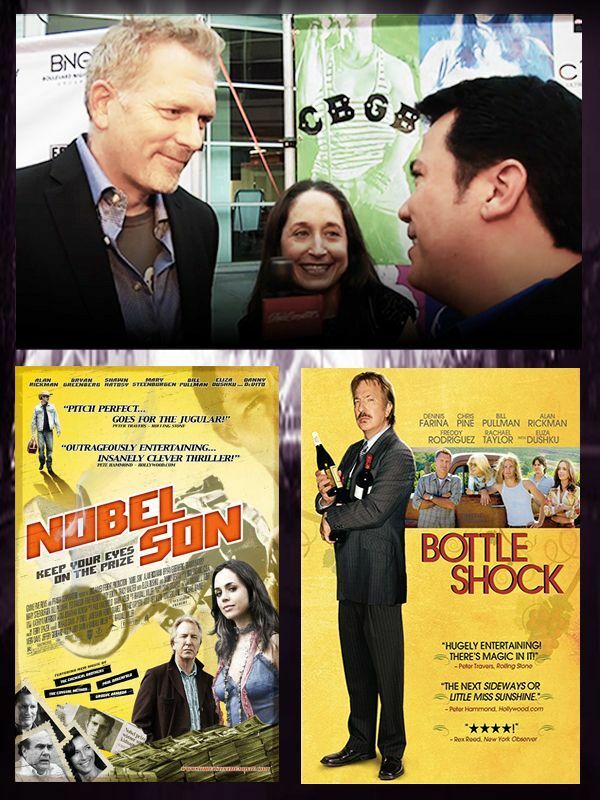 Miller, known for his films Bottle Schock, Nobel Son and HouseGuest, shared his personal experiences on the making of the movie as well as the history of the CBGB club, with our host and celebrity designer Charlie Lapson. The director wanted to portray the importance this bar had on the emergence of new music and to show the history behind the establishment. “We needed to tell the story where all this great music began–Ramones, Blondie and Talking Heads,” explained Miller. Randall also discussed that the music from that era began as a response to disco and all of the processed music. To conclude the interview, the writer and director explained the success of the Ramones came from introducing raw, fast music, with power and energy,”it was sort of unproduced music that is why it was so great.” And that is what he wanted to include in his film. This entry was posted in Events, Hollywood, On the Red Carpet and tagged artist, blondie, bottle shock, CBGB Film, CBGB Movie Premiere, Charlie Lapson, director, Hollywood, Jewlery, jody savin, Justin Bartha, movie, nobel son, Premier, Ramones, randall miller, Red Carpet, talking heads, writer, www.RedCarpetTips.com. Bookmark the permalink.